You'll be £6.99 closer to your next £10.00 credit when you purchase Major & Mrs Holt's Pocket Battlefield Guide to Ypres and Passchendaele – Fully Updated for 2018. What's this? 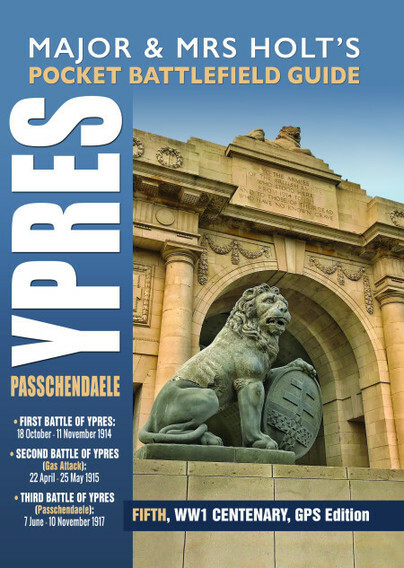 Covering the important WW1 Battles of Ypres, including the notorious Passchendaele, this guidebook takes readers on a historic trip through some of the well-known and most important sites of the area. This book, part of a series of guides, is designed conveniently in a small size, for those who have only limited time to visit, or who are simply interested in as an introduction to the historic battlefields, whether on the ground or from an armchair. They contain selections from the Holts' more detailed guides of the most popular and accessible sites plus handy tourist information, capturing the essential features of the Battles. The book contains many full colour maps and photographs and detailed instructions on what to see and where to visit.